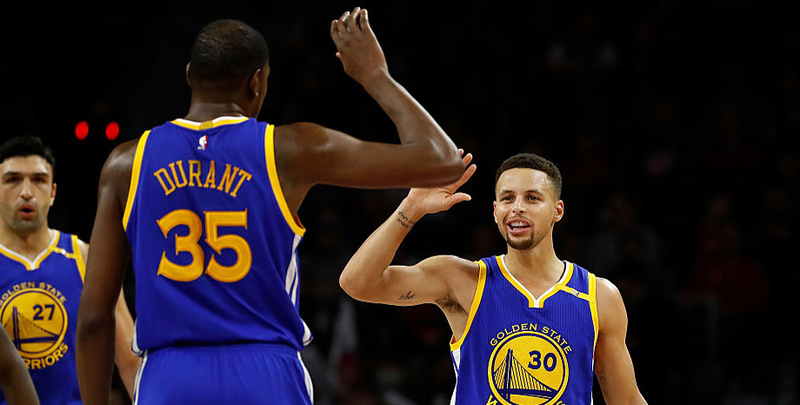 The Golden State Warriors welcome the Portland Trail Blazers to Oracle on Wednesday night and plenty of points can be expected. The Warriors have the hottest offence in the NBA – they are fresh from putting up 127 points against the Denver Nuggets – and their starting big four of Steph Curry, Kevin Durant, Draymond Green and Klay Thompson are all capable of huge double-figure nights. Thompson has gone for 60 points once this season already and shot at 57% from outside the arc against the Nuggets. RIP City have a points machine of their own in the shape of all-star candidate Damian Lillard, although he has missed the last four games. Lillard averages 27ppg and has been said to be training at full throttle ahead of a return that could well come tonight. CJ McCollum has been scoring for fun in his absence and put up 43 in victory over Minnesota on Sunday. With Lillard back in the fold, these two clearing 224.5 points at 91/100 looks a good bet. We are coming up to All-Star time and in the last two years, Oklahoma’s Russell Westbrook (above) has lit up that game. His pick this year is a given but he will want to continue the ludicrous run of numbers he has put up this season so far when his side head to Charlotte. Westbrook has taken full control of OKC since Kevin Durant’s defection to Golden State and has returned incredible statistics. He averages a triple double so far with 30.9 points, 10.4 rebounds and 10.5 assists on his statline. 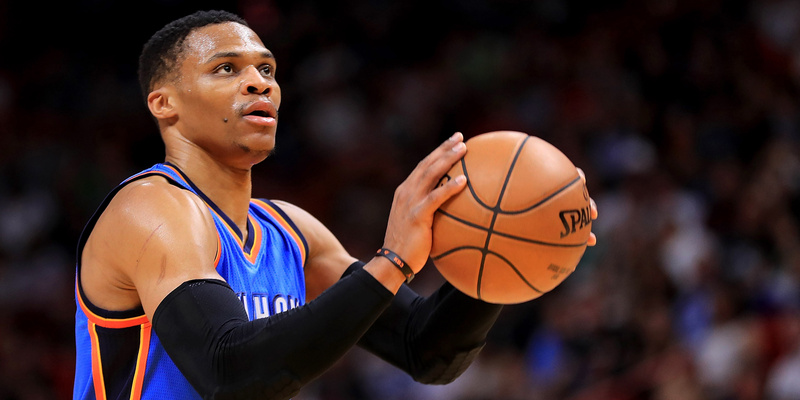 OKC did lose to Milwaukee on Monday but such things happen and, with Westbrook in their ranks, they should be favoured more often than not when it comes to NBA betting, especially at 6/5.